New Listing – This gorgeous Spencer 44 named Free Spirit, is a center-cockpit, cutter rigged sailboat and is now for sale. Free Spirit has had an amazing history, spending a lot of her years sailing around the world with visits to Turkey, Africa, New Zealand etc. 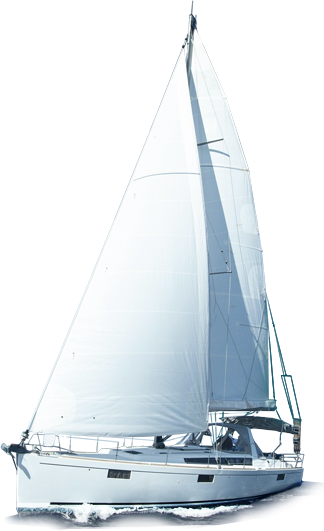 The Spencer 44 is known for its elongated, more traditional lines, tough high quality build and offshore capability. Free Spirit has proven that! Recently her topside has been upgraded in New Zealand, with a solid fiberglass dodger, including offshore rated windows. Now with a full canvas enclosure, this creates a comfortable and protected area to hang out while enjoying your journey. The interior has exceptional living space with a two-cabin layout including separate heads for each, beautifully finished teak throughout, rounded quality finished cabinetry, large galley placed mid-ship and a salon with 6′ 6″ head room. Over 100k spent on these upgrades. The current owners purchased this vessel, with a particular mission in mind. They wanted her updated and to make her ready for some serious off-shore travels, but they wanted to be comfortable and safe. The updates started and include: all new S/S rigging and chainplates, all the electrical wiring including a custom electrical panel, plumbing, S/S compression post and full canvas enclosure for the solid custom fit fiberglass dodger. The engine has been inspected and ready to go. The bottom has been inspected and fairing applied to minimize drag. Final touches, updating the navigation electronics and communication systems. This is not your regular Spencer anymore. She would make a fantastic live-a-board, but she is ready for adventure. You decide! For your personal viewing of Free Spirit, give us a call to arrange a time that works best for you! The salon is located mid-ship with updated upholstered u-shaped settee to port and inline settee to starboard. The lockers and cabinetry are very well finished with solid teak and beautifully shaped to fit the space. New custom-made Stainless-Steel compression post installed by Pro-Tec Yacht services in 2013- Support post takes downward loading from the mast and also supports deck – Now better than new! 300 ft 3/8 G40 High tensile chain – marked with depth indicators.